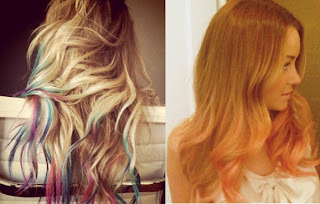 Thanks to the wonderful Lauren Conrad and her team, bright colored tips have become a huge trend this year! I have especially enjoyed them for the spring and summer due to their bright hues. Now that summer is coming to a close end, I am curious if these tips and strands will continue to stay bright or even continue to be colored. 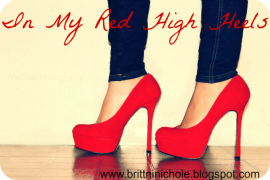 I would love to see more this fall in warmer and cozier colors!! (I just might have to try it for myself). However, it is still summer so I think we should embrace it while we can! 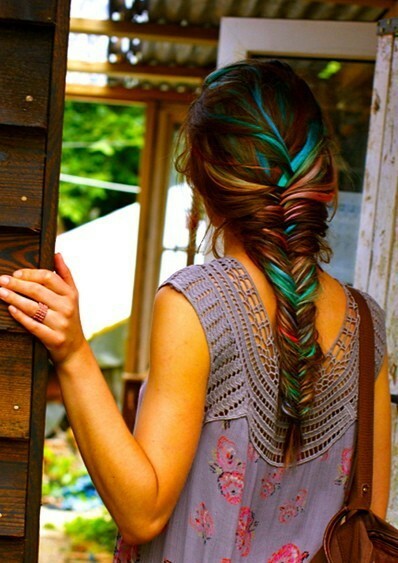 I have decided to offer bright colored/unnaturally colored tips and strands as a color service! Woo!! There are a few ways to go about this. 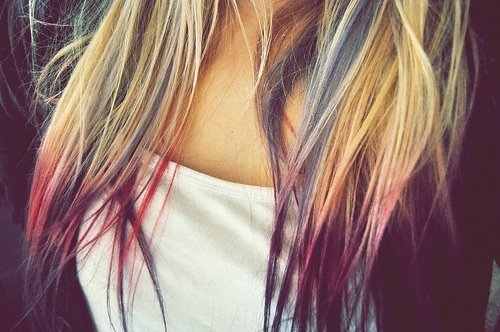 One is using a temporary dye which is a little more difficult to remove and only works well on prelightened hair. The other route is using hair chalk! This method can be done on brown, blonde, red, or just about any color you can think of! They also come in a larger variety of colors! The best part about this method is that it is pretty quick and easy to put in and remove!! If you're anything like me, you probably don't want to keep this look for long but also want to revisit it every now and then! 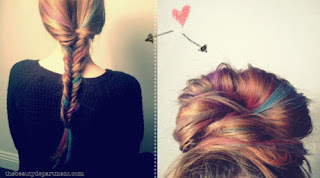 I am definitely going to be chalking mine very soon and cannot wait to begin this service at the salon!! Here are some of the different ways Lauren and others have added some flare to their strands. Thanks so much girl!! I'm so excited you commented! Since you're first commenter, you win a free hair cut! woo!!! :D lol Get my number from your man so I can hook you up! !